WHEN Rockhampton's Jay Gesch says he's a football fan, he doesn't just mean soccer. 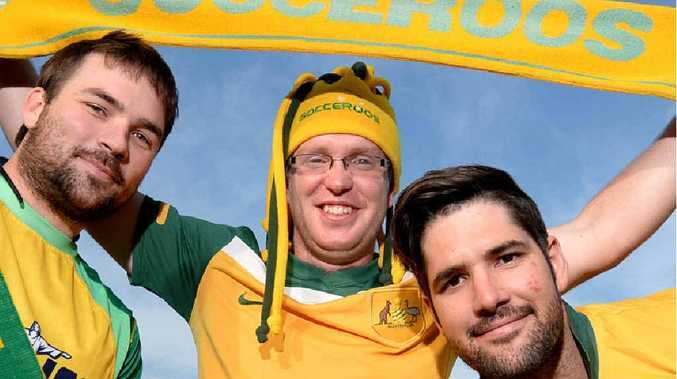 He has flown to Brazil to support the Socceroos in the 2014 FIFA World Cup but Jay refuses to miss out on State of Origin just because he is in another country. "It doesn't get much better mate, Origin and Aus v Netherlands in the space of a few hours," Jay told The Morning Bulletin by email. Jay and his mates recently welcomed the Socceroos' team bus at Porto Alegre, Brazil, forming a guard of honour with fellow Aussies. The Socceroos last night took on the powerful Dutch that overpowered Spain in their Cup opener. "I'm pumped, the lads with me are pumped (albeit a little sore-headed from last night) and the remaining fanatics on tour are all anticipating an electric game," Jay wrote. "The Dutch were sensational against Spain in their opener and the Aussies played hard but were unlucky. I say bring it on." 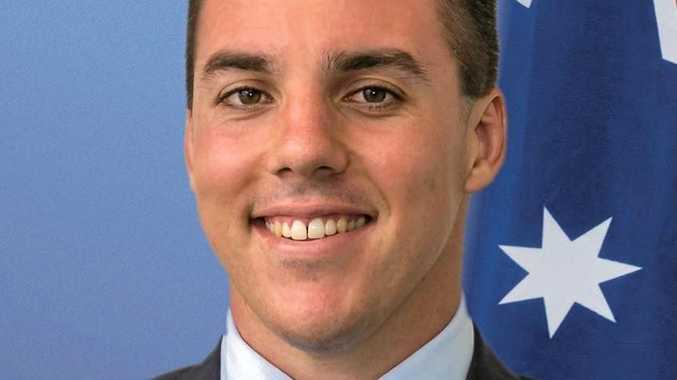 He expects the Socceroos to attack against the Dutch, with Australia trying to expose their opponent's "back four through fitness and pure raw speed". "They certainly have the legs, in Mathew Leckie and Ben Halloran though it'll be interesting to see if they can sustain it for the full 90," he wrote. Jay said Brazil came to a standstill whenever the nation's team played. "In Cuiaba the locals were partying on the streets after the game, traffic came to a stand still," he wrote. "They're mad for it, they were doing burnouts on their motorbikes and smoking it up everywhere, letting fireworks off in big crowds of people, people dancing on the street. I expect more of the same." Keep an eye out for more updates on the World Cup from Jay in later Morning Bulletins.